Fashion design students from Drexel University’s Westphal College of Media Arts & Design received a unique challenge from SCA, a global hygiene and forest products company with headquarters here in Philadelphia: to create beautiful garments using – exclusively – SCA’s TENA incontinence care products and materials. 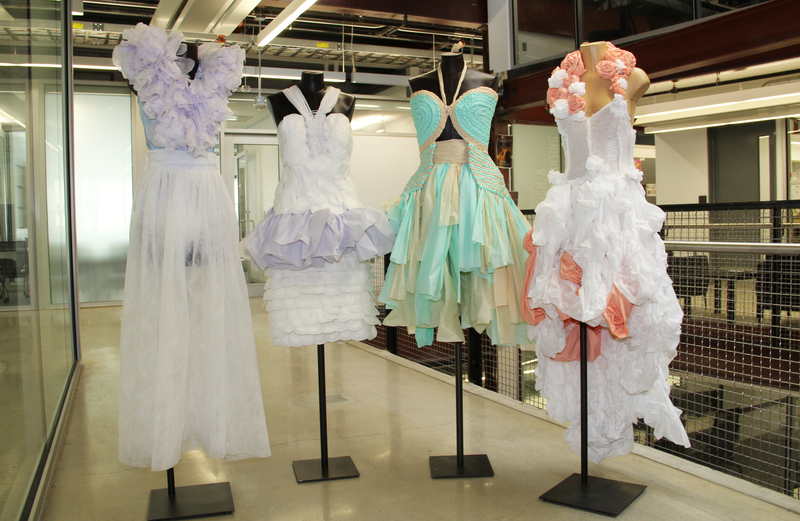 On Wed, Feb. 4, the four garments were unveiled at Drexel’s URBN Center. The designs will be on display at the SCA Pavillion at the Volvo Ocean Race in Newport RI this May, where more than 200,000 people are expected to visit. SCA also has a team participating in the race, Team SCA, the first all-female team to sail the race in more than a decade. SCA hopes this project will help to educate people about incontinence and to open up a dialogue about it. The remaining unused products were donated to a local women’s shelter.